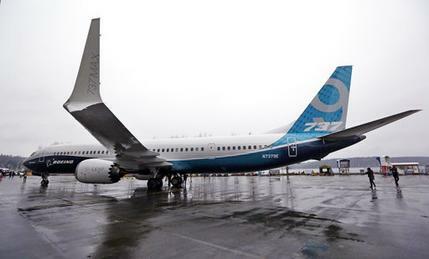 CEO of Iranian Atiyeh Saba Investment Company Vali Azarvash announced on Sunday that Boeing aviation firm will finance the purchase of 30 new passenger planes by Iran. The Iranian Parliament’s consultative meeting for reviewing the latest riots in the country convened here on Sunday, an Iranian lawmaker said. A crisis committee meeting is now underway here to discuss the situation of 30 Iranians missing after the country’s tanker collided with a Chinese vessel in east China coast, an informed source announced on Sunday. Iraq says it will start exporting about 30,000 barrels per day (bpd) of oil from oil fields in its northern Kirkuk province to Iran before the end of January. A senior Iranian official has told Pakistan’s national security adviser that Muslim nations need to forge closer cooperation given the US policy to create divisions among them. Iranian President Hassan Rouhani called for efforts to reduce the country’s economic vulnerability by diversifying the export of non-oil goods. In a statement on Sunday, Iran’s Revolutionary Guard Corps appreciated the people, the police, intelligence forces, and Basij for defeating the long list of the enemies. Iran’s authorities have fully unblocked access to Telegram messenger following a ban imposed amid anti-government protests, the Fars news agency reported on Sunday. Iranians have taken to the streets in several cities for a fifth straight day to express their faith in the Islamic establishment and condemn recent riots in some parts of the country. Commander of the Islamic Revolution Guards Corps (IRGC) Major General Mohammad Ali Jafari dismissed allegations that Iran has sent missiles to Yemen, describing it impossible as the poor Arab country is under a tight siege by the Saudi-led coalition.